and financial management, providing information, products and services for effective business credit and accounts receivable management to nearly 15,000 businesses and business credit professionals worldwide. NACM’s Weekly eNews provides targeted and timely articles of interest to the credit and financial community via email every Thursday. Read more. 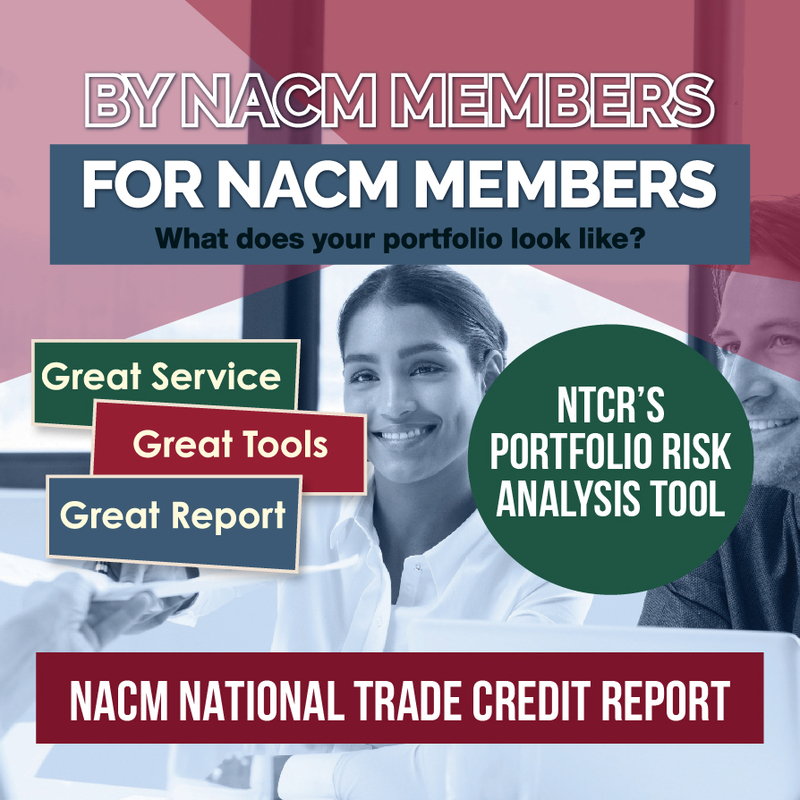 NACM’s Monthly Credit Essentials provides you with comprehensive look at the month’s offerings, surveys and new resources made available. Business Credit magazine keeps you informed on the credit issues that affect the way you do business and is published 9 times a year. Read more. NACM’s Credit Managers’ Index, created from a monthly survey of credit and collections professionals, is an accurate, forward-looking benchmarking and forecasting tool. Read more. NACM’s Resource Library is your online credit database. You can use it to search by keyword through all of NACM’s books, issues of Business Credit magazine and eNews, download forms, and cross reference data. Rely on this authoritative resource when researching! Read more. NACM online Bookstore offers a full range of books and publications on credit-related topics. Read more. NACM’s Knowledge & Learning Center is full of resources: browse through the projects completed by GSCFM students, listen to a new free webinars posted each calendar quarter or helpful webinars gathered from independent resources or read through surveys looking at key topics. NACM's Blog brings you the latest commercial credit news on a wide array of relevant subjects, from domestic and international stories to industry and legislative updates. Visitors to the blog can also share their thoughts on news stories and coverage through each article's comment board. Read more. Learning new skills or improving skills keeps all professionals at the top of their field. NACM provides a wide range of educational development programs tailored to every level of experience, from the career credit professional to the business credit novice. Educational offerings are conducted in a variety of formats, from self-study, online courses, webinars, seminars, to live workshops, classes and conferences — NACM is the best resource for education in the areas of credit, finance and law. Read more. In one hour modules, about 100 different topics can be tackled individually or bundled together as courses. For those new to the profession, NACM’s cornerstone Business Credit Principles is a must, providing a comprehensive overview of the essentials. New entrants can master analysis basics by taking Financial Statement Analysis 1 courses at their own pace. Whether you’re reviewing or tackling new concepts, NACM’s CLC offers affordable, flexible learning opportunities at your own pace. Each year, nearly 2,000 professionals gather for NACM's premier educational event which provides a forum for exchanging the most current changes in the field. Read more. Certificate Session classes are offered twice a year as a part of the CAP and ACAP Programs. Both programs comprise a series of college-equivalent courses designed to improve or enhance the credit professional's skills and knowledge. Read more. Executive Education is offered for those preparing for greater corporate responsibility and moving toward high level business management. The NACM Graduate School of Credit & Financial Management (GSCFM) is invaluable. Read more. Find out why at NACM It's about credit professionals like you. 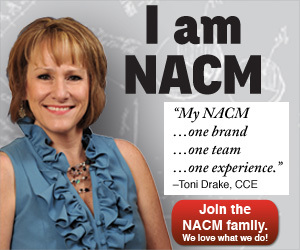 NACM offers countless resources, programs and benefits to its members. It's easy to get the most out of your NACM Membership. Find out how. The NACM Professional Designation Program has defined and advanced the profession by setting standards used by credit professionals in the field of business credit and finance. NACM sponsors three professional designations, the CBA, CBF, CCRA and CCE. For companies doing business across the globe, the international CICP and ICCE designations may hold the key. Read more. The STS online Lien Navigator, specifically developed for credit professionals, provides step-by-step time frames for all 50 states, D.C. and the Canadian provinces. Read more. NACM’s online career center provides a central network where you can advertise vacancies at no cost to experienced professionals and their companies nationwide. Read more. NACM continues to monitor Federal legislation and regulations, defending and protecting the interests of the commercial credit community. Read more. NACM’s Scholarship Fund provides financial awards to credit professionals in need of financial assistance in pursuit of credit education. Read more. Beyond the benefits included with your NACM membership, additional memberships are available in NACM’s CFDD-Credit & Financial Development Division and FCIB-International Business Credit offering credit professionals even more valuable expertise. NACM has partnered with many companies to bring added value and savings to NACM Members. Read more.